Our reviewers agree that Stephen Brooks and William Wohlforth have produced what Rosemary Kelanic describes as “an extremely useful book that should be required reading for all students of US grand strategy.” The reviewers have paid Brooks and Wohlforth the deep compliment of taking their arguments seriously, and any course on American foreign policy would do well to assign American Abroad and these responses to it. 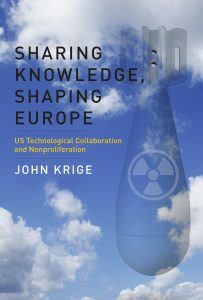 Any new book by John Krige is always likely to offer original insights to our understanding of the interconnections between the history of science and international politics, and Sharing Knowledge, Shaping Europe is no exception. As all the three contributors to this H-Diplo Roundtable make abundantly clear, it is a significant contribution to the scholarly literature on the Cold War, on U.S. foreign policy, on European integration, and on nuclear non-proliferation. In this brief introduction, I shall first group together the many positive things the three reviewers say about the book and then I shall give a brief separate overview of some of their critical observations.